Juglans regia, more commonly known as a Walnut was a tree native to China that was brought to the UK during the Roman era and has been highly covenanted for its excellent timber. The Walnut has beautiful smooth bark when young and a silver textured when old. 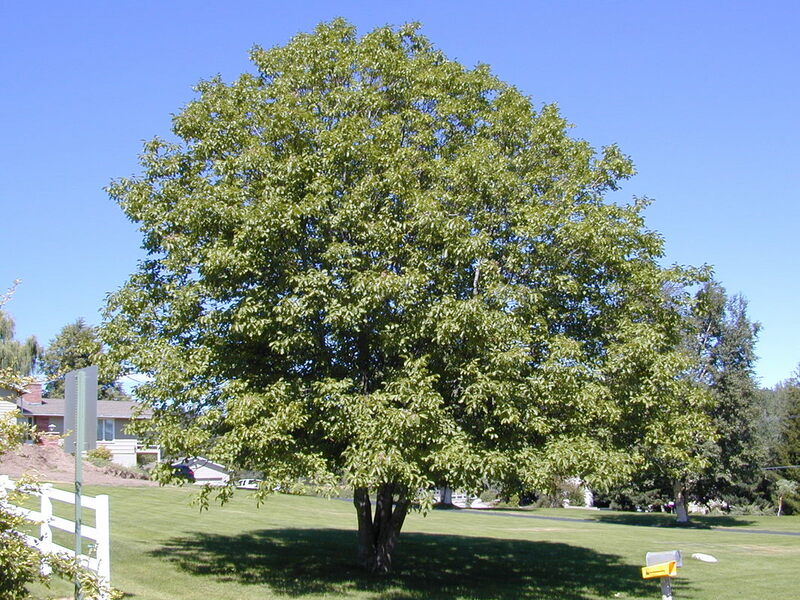 The Walnut is ultimately a large attractive rounded tree that makes a stately specimen in any landscape. The broad canopy houses opposite pairing leaves which are aromatic when young as is the timber when pruned. The prized edible walnuts smother the canopy through autumn.